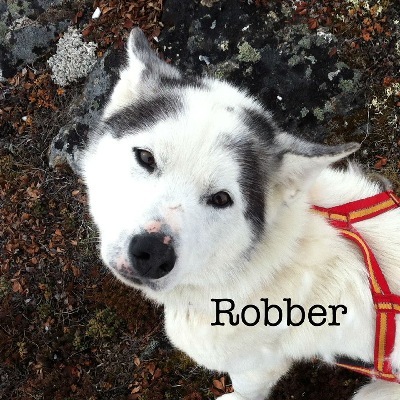 Robber is a two time Iditarod starter who has retired from team Anadyr and has come to join our family in Washington. He has fit right in and we are thrilled to have the opportunity to get to know this amazing athlete and all around good guy. Who can resist that sweet smile! Taken before he left AK. 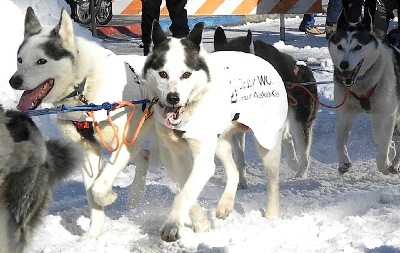 On the left with team Anadyr. With buddy IC after a fun run with a large team. 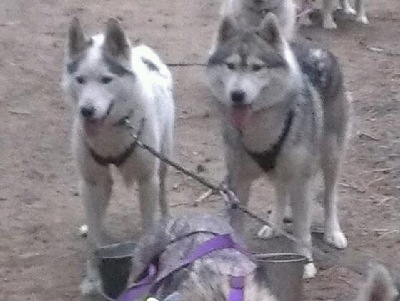 Barking to go! 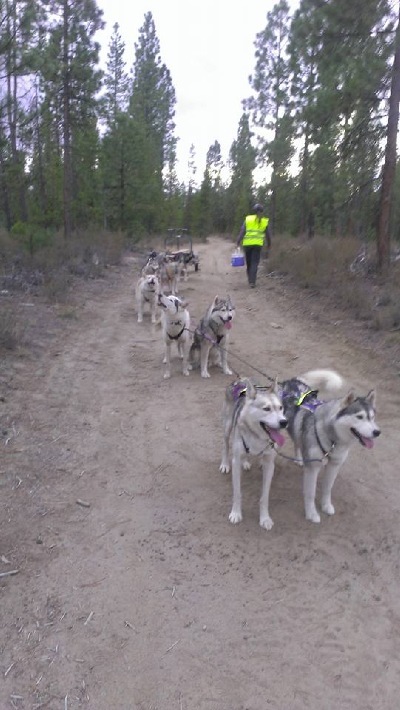 After a quick pit stop on a mixed 10 dog team.